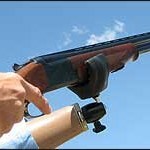 • Designed to fit most sporting firearms including bolt action, lever action and semi-automatic rifles and carbines, over and under, side by side, pump and semi-automatic style shotguns as well as military M-16’s and their variations. 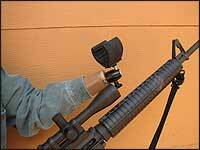 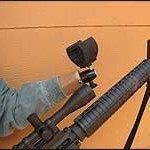 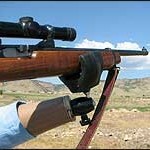 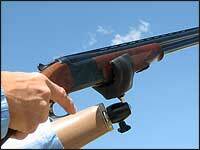 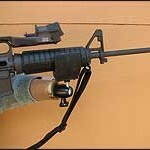 • Flexible polymer “Yoke” conforms securely to various stock surfaces without marring the gun. 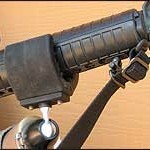 Yoke snaps onto forearm (fore-end) of stock and can be pulled back tightening up for precise control. 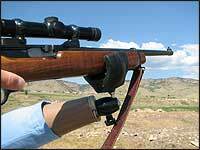 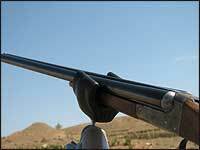 Yoke does not interfere with aiming or barrel’s sight window. 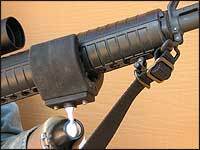 • Lockable ball and socket allows for firing from a variety of positions and a pivoting platform provides for smooth gun rotation. 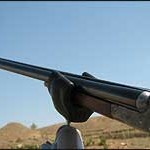 • Perfect for target and competitive bench shooting, “trap” and sporting clays, small & big game hunting and upland game pursuits. 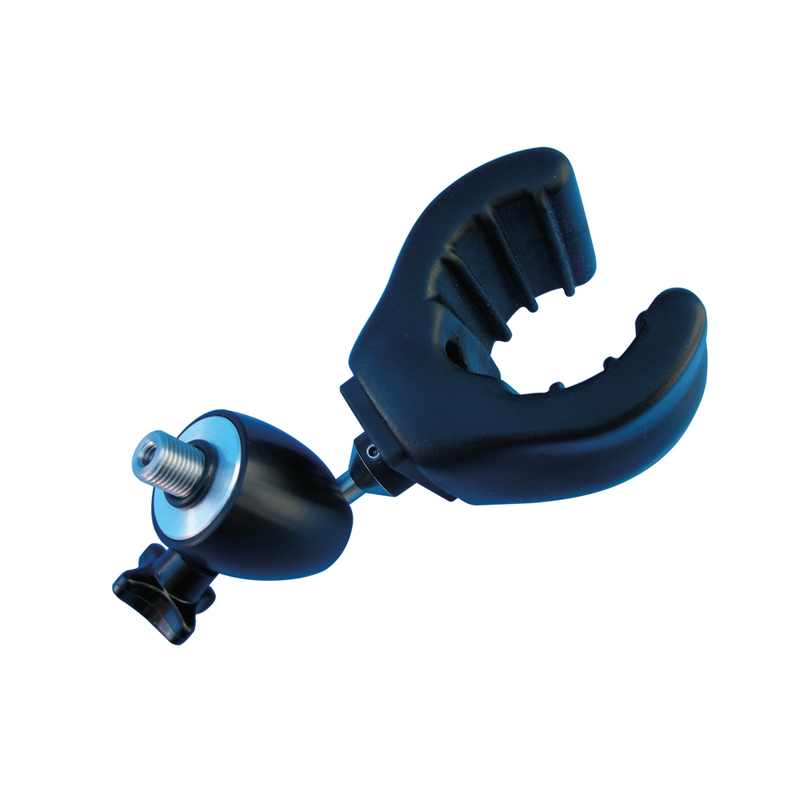 • Equipped with standard one half inch diameter threaded prosthetic mounting stud. 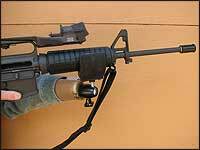 Materials: Stainless steel, aluminum and polyurethane polymer construction.